So in my last blog post and in all of my social media (), if you follow me, I have been mentioning this campaign that I recently launched. To be completely 100, I didn't know what even was up till recently. Team Villanueva (Rob, Rob and Chawla) put me on to it. I loved the fact that it gets the crowd involved direct, allowing fans and my supporters to be a part of a movement...a bigger picture. We started filming. We started talking. We started realizing that there is a MUCH bigger story here and it wouldn't do justice to ignore. 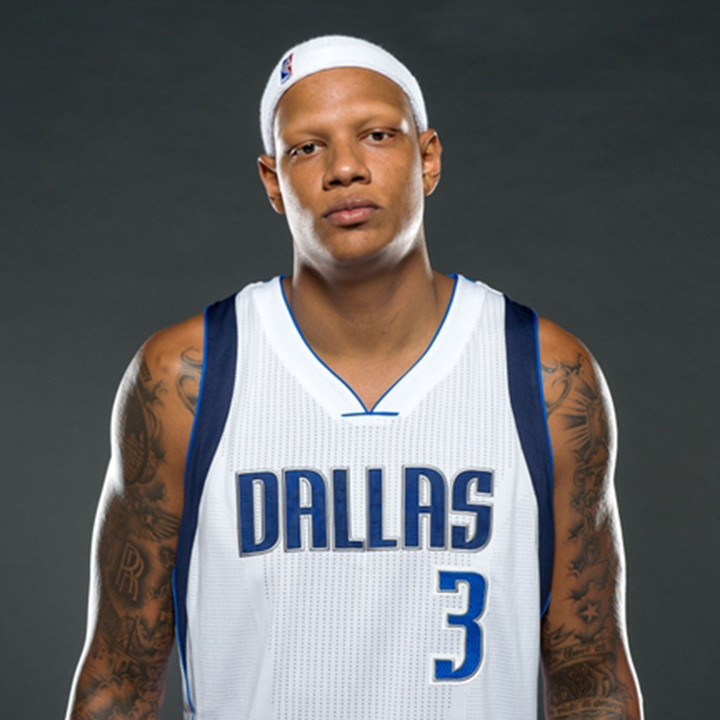 You see, I am the only player in NBA history to have Alopecia Universalis. Alopecia is an autoimmune skin disease resulting in hair loss. I was first diagnosed when I was 10 years old and by the time I was 12, I had lost ALL of my hair. You could imagine how rough things were as a kid. Not being socially accepted. Why this is significant, and trust me I don't talk about this much, is because it was really tough on me as a kid. People made fun of me…kids can be mean and nasty. I had no one to look up to and guide me. So I took to basketball. Basketball was my therapist…it is where I felt normal. It was my escape. I got good at basketball. Now, I was being looked at the kid with skills versus the kid with no hair. There isn't enough attention shed on Alopecia and I have been a spokesperson for the (NAAF) since my rookie year. And honestly, I bet a lot of people still don't know what Alopecia is. I bet a lot of guys in the League don't know what it is (more on that in a later post) and they don't realize that is what I have. So we decided that the bigger story, the story that needs to be told is the story of my life through Alopecia. So we are in the mist of producing a movie about my life, my biopic, my Alopecia, we're calling it "Season X" - 10 years in the League, 10,000 now believe. Of course basketball is the backdrop for this story and having Alopecia is at the forefront of this story, but the story really is about perseverance, commitment to something you love, overcoming and most of all achieving your dreams no matter what the obstacles. I really do hope to inspire people who have Alopecia and those that don't. Not for me but for them. I say it often, and I really mean it, if I can reach my dreams (making the NBA), why not them? You are in control of your life. Alopecia didn't have me, I had Alopecia. So where am I going with this? Well, that is what the campaign is about…helping us finish this movie and giving you an opportunity to believe. The campaign can be found here: . And every dollar counts. The first question I often receive is, "Wait a minute Charlie, you are a millionaire, why do you need a Kickstarter campaign to help finish your movie?" Good question. Honestly, it is not about the money. It is about getting YOU, the people, involved; allowing people to be a part of something BIGGER than them, than me. Roughly, 1 in 50 people have Alopecia Areata…that is probably a lot more common than you thought. Don't you, Alopecia or not, want to be a part of helping get the right messaging out there? Help provide a tool to help people overcome their lack of confidence? Share a different light on bullying? And show that being different is cool? This allows everyone to feel embraced...is the way it should be. And I wanted, more importantly, to get the Alopecia community directly involved with this project, so they can see it done from beginning to end. The movie debut is schedule to premiere at All-Star Weekend in Toronto (ironically where my career started) but we need your support!!! So if you have Alopecia or know someone who does, if you're a fan of basketball, a fan of the Mavs, a believer or simply want to be a part of something BIGGER than you...then contribute. I truly, truly appreciated. Like I said, every dollar DOES matters. More to come about this project for sure. I'll keep ya posted. Appreciate it as always, you reading this and staying connected. PS. Shouts to my fellow teammate, , he came through to the NYC campaign event to support my the project, good looks brother. Thank you.